Ellianna is using Smore newsletters to spread the word online. About 300,000 people cross between the two countries everyday. Officers from both sides stand together as equals when on duty. I like to see these two countries as very close friends or siblings. 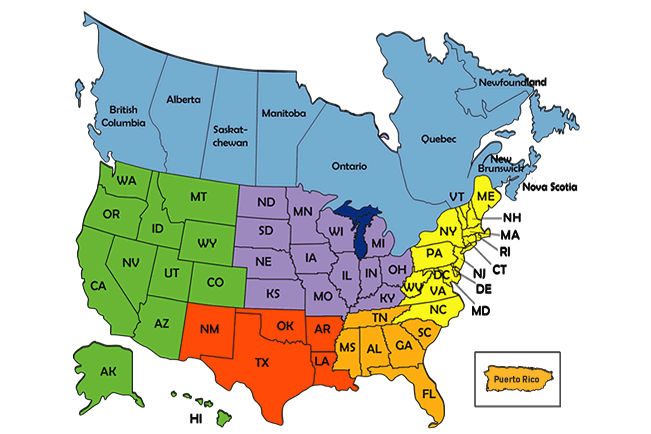 States and provinces in the U.S and Canada. Grain trade between the U.S. and Canada. The two are very close allies. Their militaries started working together during world War II. They may disagree on some things but for the most part, the are very similar. They share the world's largest trading relationship. Canada supplies energy to the U.S. and is the third largest holder of oil reserves. They also have the largest investment relationship. Canada has invested in the United States' finance, manufacturing, and banking. The U.S has invested in Canada's mining, chemicals, and transportation equipment.